Why Is Everyone Talking About Bitcoin Cash? This faucet script is one of the first script use by bitcoin faucet owners. It originally belong to faucetbox.com as their faucet script for their micro wallet site, but because they are not profiting from the site they decided to close it. Bitcoin faucet faucetinabox script is still being use and since it is open source some developers like the owner of makejar contribute in making the script more secure and stable. This script is easy to tweak specially the design. You can integrate it in almost any one page html5 template or even in wordpress website. The security is good because of the extra anti-cheat code. Very lite so it opens very fast in any browser. Extra page for a faucet is no problem with faucetinabox script all you need to do is click tab and click add page and it will add an extra page in your faucet. Other faucets requires the need to code when doing this. Modals can also be use for extra security and can easily be added to the code. 1. You will need a domain name and you can buy one Here. The price of a domain name for one year is only $0.48 so it’s very cheap. Free subdomain wont let you earn because you will be denied when you apply for a publisher account for advertising networks. 2. You will need a hosting to host your website. You can get it Here. Hosting unlimited site requires you to pay $6.95 per month in x10hosting. You can run 21 cryptocurrency faucets and your server will still be fast. 3. Register in faucethub Here. You will need a micro wallet website to pay your visitors and faucethub is a trusted website with that handles hundreds of faucets payments. 4. Download the scripts r86. 1. Download the faucetinabox script. Just click the links below to get a copy. 2. 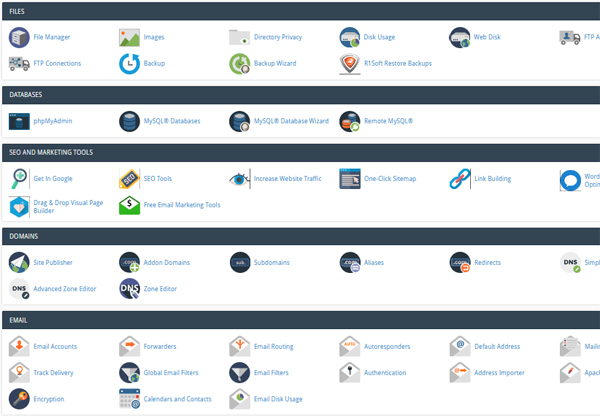 Log in to your hosting account and go to your cpanel. Click the File Manager icon located at the top left of your screen. 3. Upload the script to your domain name folder by clicking the destination first the click upload. 4.After you finish uploading your script, right click on the r86 script zip file and extract it to your domain folder. Be sure to enter only your domain name. Remove any folder that will be created when you extract your script. 6. Go to the File Manager and open the config.php in your extracted files. Right click the file and select edit. Enter the details of your newly created database and click save. 7. Now you can open you admin panel of your faucet. Go to your browser and type your domain name. It will show you the password when you open it for the first time. Be sure to save it so when ever you need to change in your admin panel you wont need to reset your password every time. 8. Enter the details that are needed to run your faucet. You can get your API in faucethub and if you want to monetize you faucet be sure to apply for a publishers account. Here are some ad networks that are paying and stable. You can see the list Here. Join us and get the latest news and information about bitcoin.